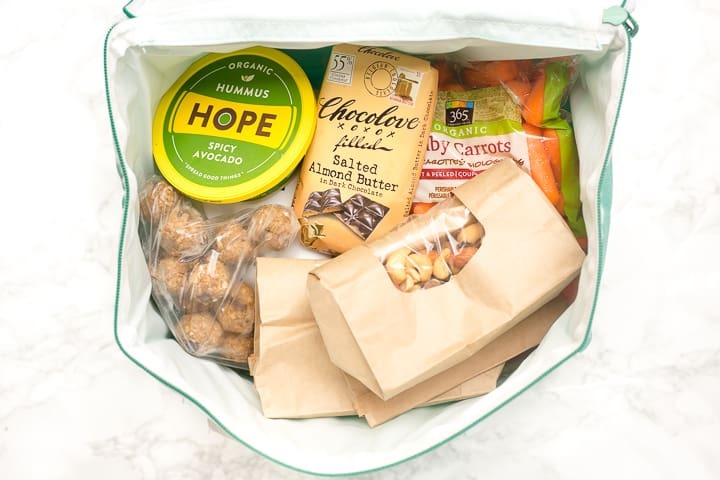 Here are my favorite tips for how to pack the perfect picnic. Just pick one or two of the suggested items from each category–drinks, fruits, proteins, sides, and desserts–and you’ll have your picnic planned in no time! I LOVE picnics. 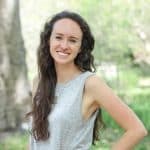 Some of my favorite memories from my last semester of college are picnics with friends on the campus quad, in a friend’s backyard, and at the nearby swimming hole. There’s just something so fun and relaxing about eating outside on a blanket! Picnics are the perfect way to spend time with a good friend and they’re a fun date idea, too. At the very least, bring lots of water (in some type of reusable bottle, if possible). Water is my go-to beverage, although I think there’s something about summer and picnics that calls for something extra special, too. 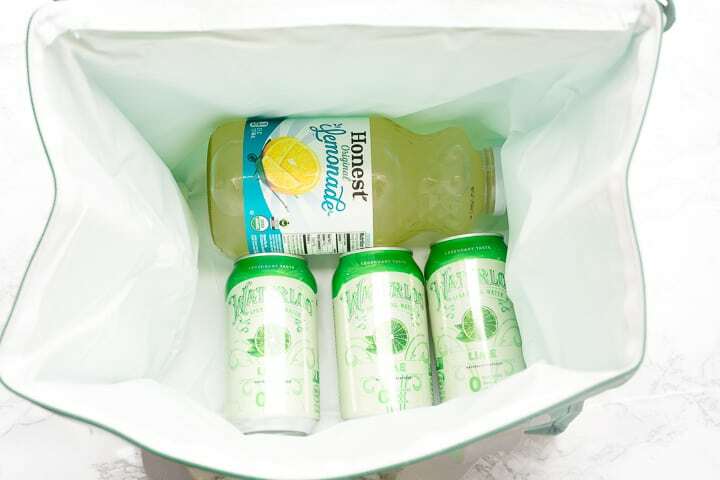 So, for this picnic, I also picked up sparkling water and organic lemonade. I packed the drinks on the bottom of the cooler since they take up a good bit of space. What’s a picnic without fruit? Watermelon is a summertime staple, and it’s hard to imagine a picnic without it! 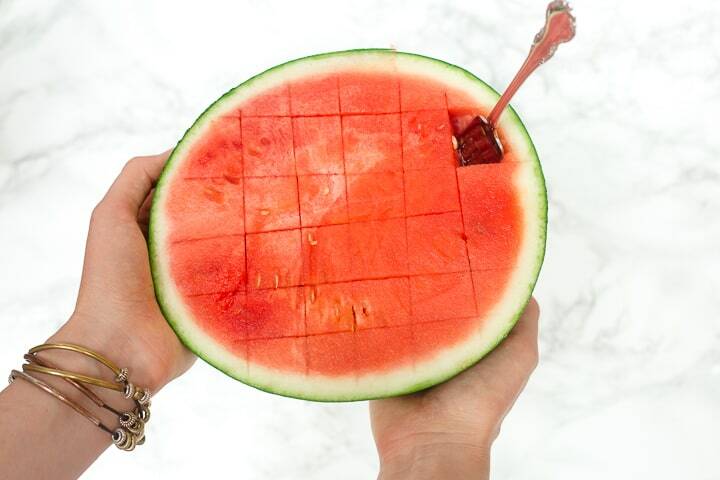 Triangular slices of watermelon are always a good way to go (no eating utensils needed that way! ), although those are a bit messy, so you may want to pack some wipes. I found these cute little personal-size watermelons at Whole Foods. I just sliced one in half and scored it so it’d be easy to eat with a fork. Then, I just wrapped each half in plastic wrap. I think this would be fun for a date (sharing a watermelon- how cute!). Since even a picnic needs some substance, I picked up this Sonoma Chicken Salad from the Whole Foods prepared foods section that’s too good. It has all of the good stuff like pecans, grapes, and celery. I also made turkey kebabs with freshly sliced turkey from the Whole Foods deli! I just asked for a thick slice of turkey that I could cut into cubes. Then, I added cubes of organic raw cheddar and cherry tomatoes. Next time, I’ll probably leave the tomatoes off a few of the skewers since I know not everyone is a fan. I also added a layer of ice packs after the drinks to help keep the chicken salad and turkey kebabs cool. 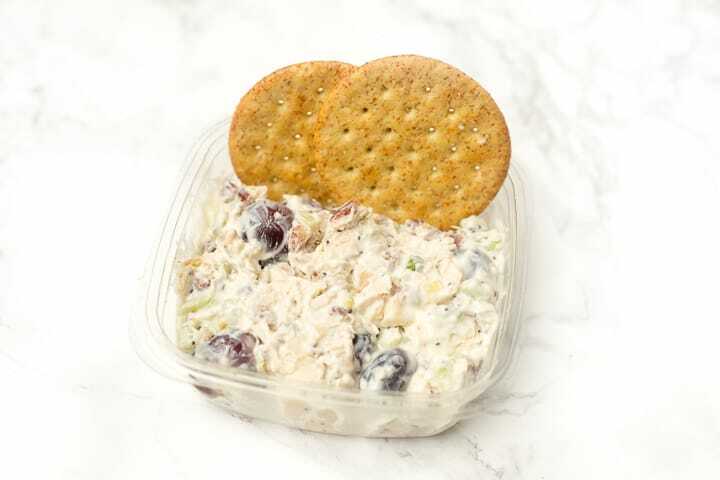 Other protein ideas: • Make your own chicken salad • To save time, do turkey/ham and cheese roll-ups! 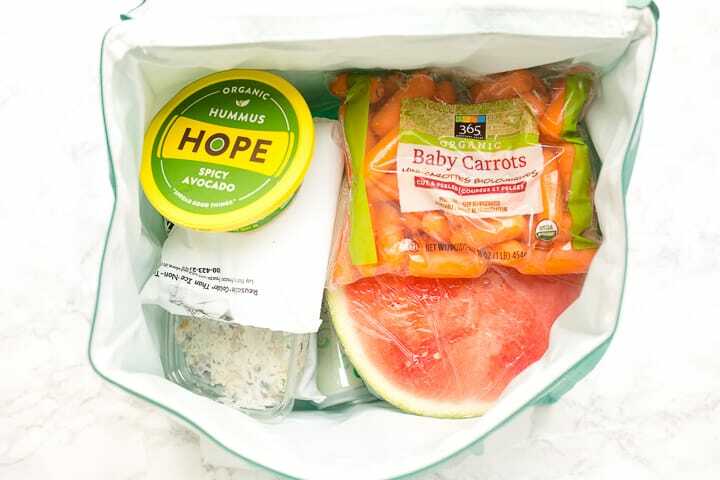 For sides, I kept it simple with just some carrots + hummus– no prep needed! And I added another ice pack below the hummus. Other side ideas: • Make a cheese board with crackers and/or bread, a few different cheeses (Brie, cheddar, gouda, etc. ), jam, and grapes. • Add extra hummus dippers like pita chips, sweet bell pepper strips, or celery sticks. • You could also bring chips and guacamole/salsa. I packed some amazing peanut butter cup trail mix from Whole Food’s bulk bins. I also grabbed some dried Turkish figs from the bulk bins, which are another one of my favorite treats. And I packed a salted almond butter dark chocolate bar since I love having a square of dark chocolate after a meal. Since I tend to go a bit overboard with desserts, I also brought these homemade peanut butter energy bites. I guess I ignored my own suggestion of 1-2 desserts, oops. 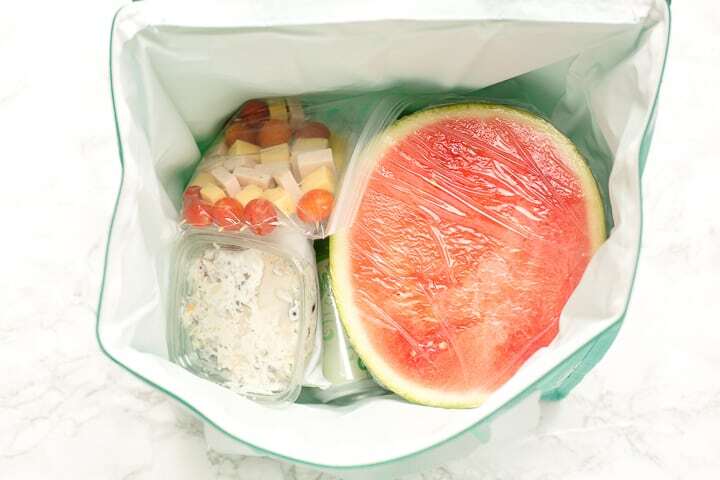 For a picnic, I’ll typically also pack a few forks wrapped in napkins, along with some wipes and bug repellent towelettes, since it never hurts to be prepared. And that’s it! 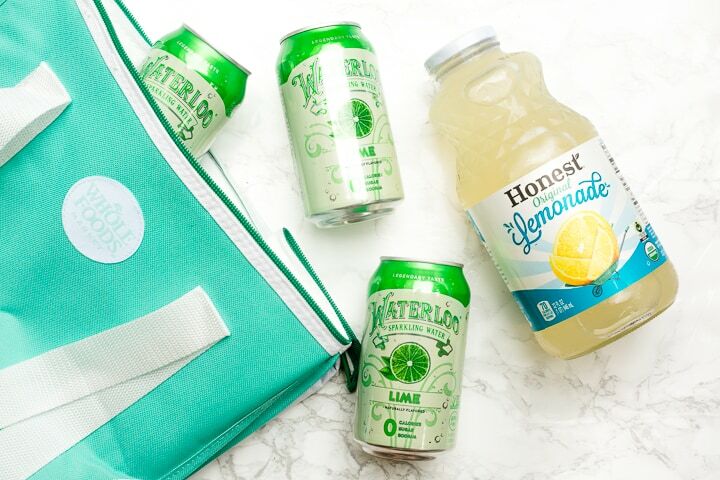 You can check out my Instagram for a chance to win your own cooler bag and a $50 gift card to Whole Foods Market! So tell me…what’s in your ideal summer picnic cooler? Anything I’m leaving out? Check out #CoolerGoals for more summer inspiration! Happy picnicking! Sounds like a fun time to spend with your favorite people in a beautiful picnic area. Wish I could join you. I love this! The personal watermelons are so cute. Cheese boards are my absolute favorite and the perfect picnic fare. Yes!! Watermelon + cheese boards are two of my favorite picnic staples! Really I love picnic with lot of friends and family! I just feel amazing!